Featuring a great burn, equally as good draw and a memorable flavor, H. Upmann cigars are one of the most well-known and respected brands in the cigar industry. Its dependability and consistency can be attributed to its extensive quality control checks that are performed regularly to ensure it maintains that excellence that millions have come to expect. 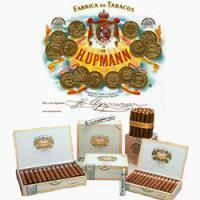 H Upmann cigars are medium-bodied, featuring Cuban-seed, more specifically Piloto Cubano, and a Dominican filler. It is wrapped up, appropriately, by an Indonesian wrapper which delivers a silky and sweet aroma that is inviting for anyone in the vicinity.